Alex Wong/Getty ImagesFederal Communications Commission Chairman Ajit Pai, who is under fire for making a false claim that the agency’s servers were the victim of a cyberattack. Some of the leading Democratic members of the House of Representatives committee that oversees the Federal Communications Commission sent a letter Tuesday to Ajit Pai, the agency’s chairman. In the letter, the representatives criticised Pai for falsely claiming that the FCC was the victim of a cyberattack last year. The representatives demanded to know when Pai first learned the cyberattack claim was false, and why he didn’t inform them sooner about that fact. The letter follows a report from the FCC’s inspector general’s office last week that debunked the cyberattack allegation and comes days before Pai is due to testify at a Senate oversight hearing. A now-debunked claim that the Federal Communications Commission’s servers were the victim of a cyberattack last year is now coming back to haunt Ajit Pai, the agency’s chairman. In a letter sent to Pai on Thursday, four leading Democratic members of the House of Representatives demanded to know when he knew that the cyberattack allegation was false, why he didn’t correct the record as soon as he found out, and whether he has made misstatements about anything else that he’s let go uncorrected. 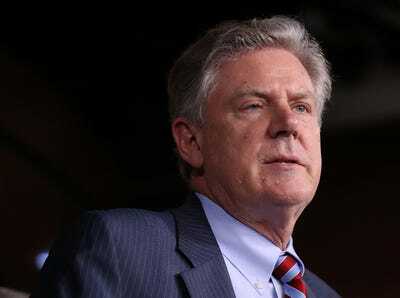 The representatives, which included Frank Pallone of New Jersey, the ranking minority member of the House Committee on Energy and Commerce, which oversees the FCC, demanded an answer from the chairman by August 28. “It is troubling that you allowed the public myth created by the FCC to persist and your misrepresentations to remain uncorrected for over a year,” the representatives said in their letter. An FCC spokesman declined to comment on the letter. In May last year, when the agency was soliciting public comments about its plan to repeal its net neutrality rules, its servers became unavailable for a short period. The outage happened right after comedian John Oliver addressed the proposal in an episode of his show, “Last Week Tonight,” and directed viewers to a web address where they could submit their comments to the FCC. Despite that, the FCC staff immediately claimed the outage was due to a cyberattack. The claim triggered an investigation by the FCC’s inspector general’s office and the FBI. Last week, the inspector general released its conclusions. The investigation found that the outage was due to a spike in traffic resulting from the “Last Week Tonight” episode, not a cyberattack. It also determined that the FCC failed to undertake a serious investigation before making its claim of a cyberattack. And it determined that FCC officials had made false statements to Congress and even referred some to the Department of Justice for possible prosecution. The Justice Department eventually declined to press charges. People inside and outside the FCC questioned its conclusion that it had been the victim of a cyberattack almost as soon as it made that allegation public. Outside security experts expressed doubt in the press, congressional representatives sent letters to the FCC asking for documentation, and – as the investigation showed – FCC employees expressed their doubts and scepticism internally. The inspector general’s office made its referral to federal prosecutors as long ago as January, meaning it concluded fairly early on that the cyberattack hadn’t happened. But Pai didn’t retract the claim until last week, the day before the inspector general’s office released its report. As the House members noted in their letter to him, he still hasn’t corrected the FCC’s previous statements about the incident. In their letter, the House members demanded answers from Pai about his statements and handling of the incident. They asked him to say when he first became aware that the outage may not have been due to a cyberattack, and when he received the first draft of the inspector general’s report that concluded the cyberattack hadn’t happened. Joe Raedle/Getty ImagesRep. Frank Pallone, D-New Jersey is among the House members seeking answers from Pai. They also pressed Pai about why he hadn’t corrected the record earlier. In a statement about the investigation released last week, the chairman said the inspector general’s office asked not to discuss the inquiry while it was ongoing. 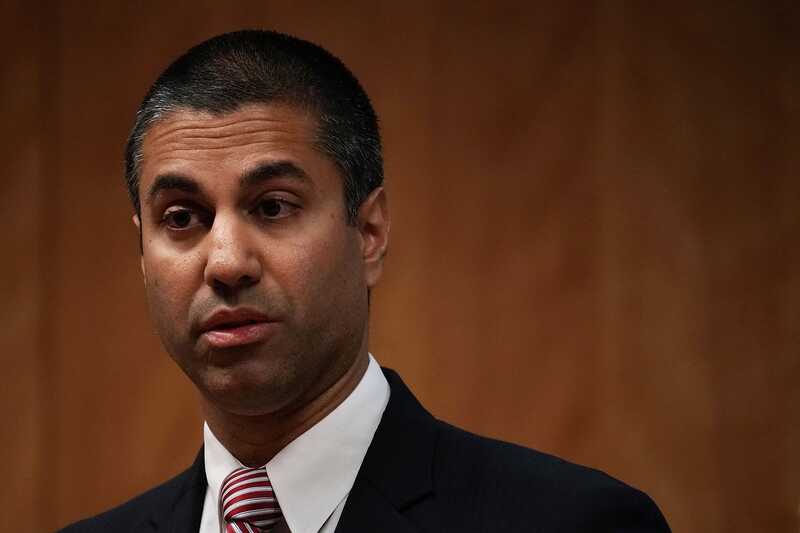 But the representatives demanded to know whether the inspector general’s office had asked Pai not to correct his public statements about the attack – and asked to provide documentation of any such request. They also asked why Pai didn’t, at the very least, inform Congress confidentially that the cyberattack hadn’t occurred. “Given the very serious nature of these omissions and misrepresentations, Congress and the public deserve more information,” the representatives said in their letter. Pai will likely field similar questions and demands on Thursday, when he is due to appear at a hearing of the Senate Committee on Commerce, Science, and Transportation. The FCC approved Pai’s net neutrality repeal in December and it took effect last month. Consumer advocacy groups and others are challenging the repeal in court. Part of their argument against the repeal is that the FCC didn’t make a serious effort to solicit and consider public comments on the proposal before voting on it.